Love addiction is also sometimes called a relationship addiction, because it really has nothing to do with real love at all. One of the main characteristics is the belief that a particular relationship or a specific partner will be “the one” to solve all of your problems and satisfy all of your needs. Relationship addicts repeatedly become involved in intense, enmeshed, codependent relationships, even when those partners or relationships are destructive. Judging from my show, Dawson McAllister Live, at least three-quarters of the calls I receive deal with relationships. And most are related to relationship addiction. I hear from callers who are in terrible relationships, but they cannot even imagine not being with this person. The thought of living without them scares them. So What Is A Love Addict? You feel desperate and alone if you are not in a relationship. The love addict obsessively and compulsively tries to relieve or medicate the deep pain in their life through romantic relationships. Once in a relationship, they feel they can’t live without the other person and will do whatever they have to do to keep the relationship going. If that doesn’t work, they panic and try to get into another relationship immediately.A girl called my radio show the other night. She said she was in love with a guy who treated her horribly. In fact, he got her pregnant, then beat her up so badly she miscarried the baby. She assured me she still loved him no matter what. I couldn’t talk her out of leaving him. Now that’s crazy.If some guy beat you up so badly it caused you to lose your baby, why would you want to go back to him? You wouldn’t, but then again you may not be a love addict. I told her she wasn’t in love. She had an addiction. She’s a tragedy, a love addict in denial. But the main reason she wants to go back to him is because she is terrified. She cannot bear being alone. You crave the relationship and obsess about it constantly even to the point of losing yourself. Why do we use the word addict? Drug addicts, when they are thoroughly hooked, spend almost all their time thinking, craving, and planning to get the next high. They only live for the next high. Love addicts get their own high as well, but it’s a high off of another person. Like the drug addict, the love addict spends all their time and attention on the other person. They obsess over their partner and value them far above themselves. A love addict is totally consumed with their partner to the point of ignoring their own needs. she craves love just like an addict craves a drug and she will do anything to get it. You believe your partner can heal you or solve all of your problems. Love addicts convince themselves their partner has the power to heal them. This is an impossible demand to be put on their boyfriend/girlfriend. How can their partner fill the deep hole in their soul and their cravings to feel loved and whole? In fact, love addicts are so desperate to connect with another person, they are willing to lose themselves and become completely attached to their partner.Psychologists have a big name for it. They call it, enmeshment. We become enmeshed when we use our partner to give us our identity, self worth, purpose, safety, and security. It comes when we want our boyfriend/girlfriend to provide us with a sense of being whole. Popular songs are full of phrases linked to love addiction and enmeshment. Such phrases as, “I can’t live without you” and “If you leave me I will die” and “I am nothing without you.” Caitlin explains enmeshment even better by her comment: “I have been very much addicted to love. After overcoming this addiction I realize the cause. I was trying to fill the void in my own heart with what I thought was love from other people. I had many scars and hurts from as far back as my early childhood and I was trying to cover them up, rather than deal with them. There is a special place inside of you that can ONLY be touched and healed with God’s love. 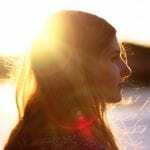 Once you allow that to happen you will begin to see changes in every part of your life.” -CaitlinCaitlin, like many love addicts, was asking her boyfriend to be God. Thankfully, she eventually learned that she was asking the impossible. She discovered she could only be healed by God. Only God can be God. Only He can fill the hole in our soul, yet there are millions of love addicts asking their partner to do something impossible for them. If you are a love addict, don’t despair. Trust me, there is hope for you. 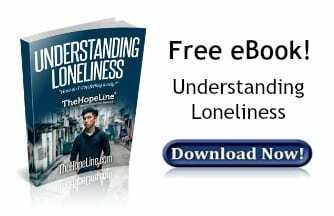 TheHopeLine® offers many free eBooks that can help you uncover what is going on inside deep down. For example, if you have a fear of being alone, of not having a boyfriend or girlfriend, then this free eBook on loneliness can help. how can you help? My own 20-year old daughter is in such relationship with a man. how can you help? I have struggled and lost everything to convince her and bring her back to the right path but has gotten worse and worse. what should I do? Please help. A very desperate single dad. Just be there for her when the roof collapses. It will.